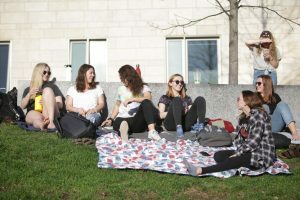 Going into the 2010 season, the Massachusetts men’s lacrosse team wondered who would step up and account for the losses of Tim Balise and Jim Connelly on the offensive side of the ball. 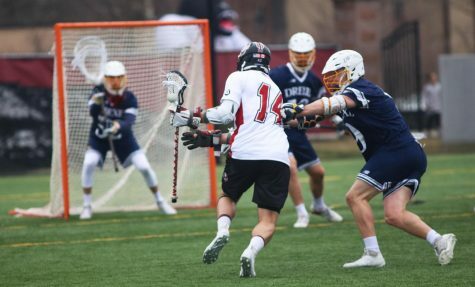 Sophomore attackman Art Kell did just that on a rainy Tuesday afternoon, contributing two goals and three assists, as the No. 18 Minutemen (5-2) defeated No. 15 Brown for the first time since the 2006 season, 11-10. Kell leads the team in goals (20), assists (14) and points (34), and was one of four two-goal scorers, which include sophomore midfielders Anthony Biscardi and Steve D’Amario along with freshman attackman Will Manny. 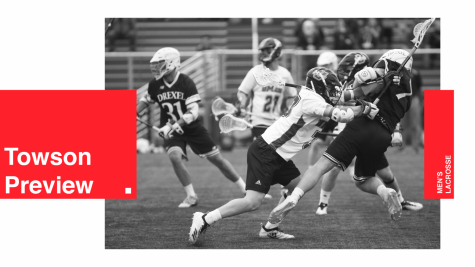 Senior midfielder Bobby Hayes, junior attackman Ryan Liebel and senior midfielder Christian Hain also added a goal for the Minutemen. 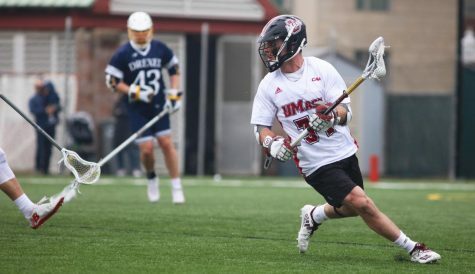 “Well, we lost two one-goal games so, winning means a lot for their confidence, believing in themselves that they have the ability to win those games,” UMass coach Greg Cannella said. 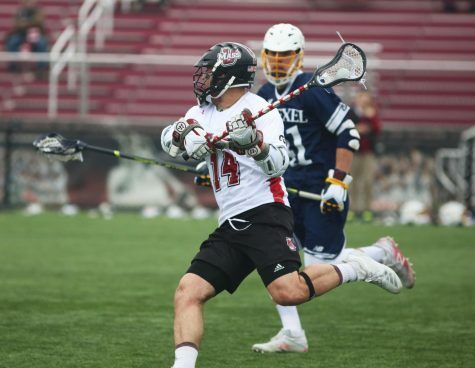 The Minutemen fell to fellow Ivy League opponents No. 16 Harvard and No. 20 Yale by one-goal margins earlier this season. The loss snaps Brown’s three-game winning streak, as it falls to 3-2. 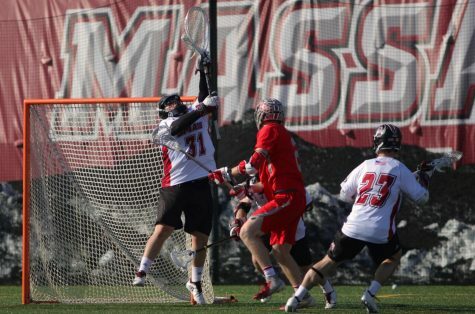 Goalkeeper Tim McCormack had his best performance as a member of the Minutemen, registering a career-high 17 saves, including 10 in the second half. “Brown is a great team off the ground, and you need that kind of performance out of Tim McCormack if you want to beat a top ranked team like we did today,” Cannella said. 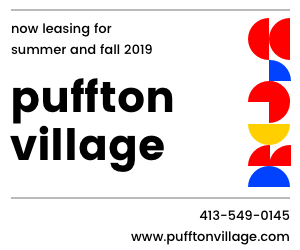 While the offense was impressive, the defensive unit played a complete game, as junior defensive midfielder Stephen Zorkers led the team with six groundballs, and sophomore defenseman Tom Celentani caused four turnovers and secured five groundballs. Hayes sparked the final run for the Minutemen, tying the game at nine with just over six minutes to go in the game. 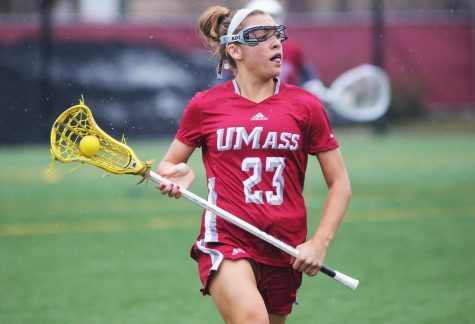 Hain put UMass up 10-9 with just over four minutes to go in the game, as Kell put the game away with one minute to go in regulation. 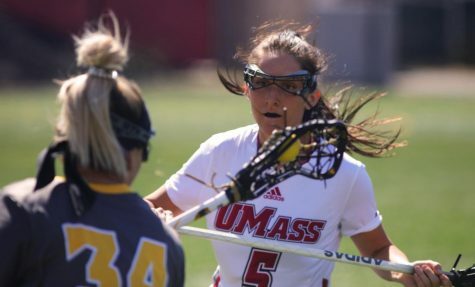 UMass scored the last three goals after both teams traded scoring runs throughout the game, as the Bears took two one-goal leads on two of its three-goal spurts, but the Minutemen answered back. The Bears were led by Andrew Feinberg (four goals), Thomas Muldoon (two), and David Hawley (two). Goalkeeper Matt Chriss had 12 saves in the loss for Brown. 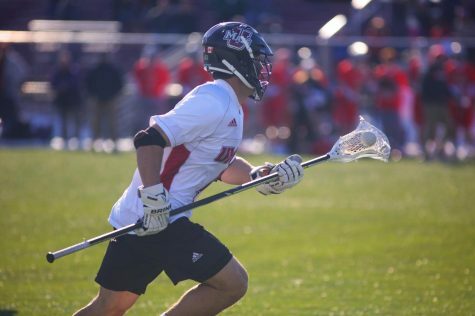 The Bears’ extra-man offensive unit could not capitalize on their opportunities, as freshman Ryan Hollenbaugh, sophomores Alex Reinhard and Brett Newgaard held the Bears to one extra-man goal. 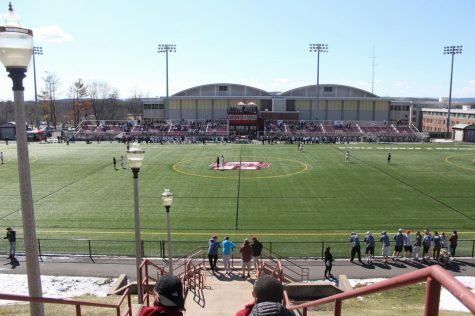 UMass went 1-of-3 in extra-man opportunities on the day. 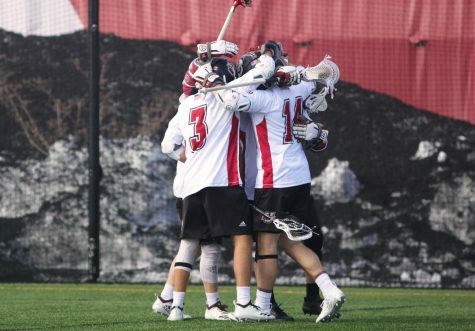 It also won 15 of its first 17 draws, with sophomores Greg Rushing and Anthony Toresco winning 11-of-16 and 5-of-8 face-offs, respectively. The Minutemen open their first CAA regular season schedule when they host No.6 Hofstra at Garber Field Saturday at 1 p.m.